Let's Get the Discussion Started!!! MET is focused on value-added business posts. The MET Community is backed with the MET whaletoken that is used to support business related articles, ideas, initiatives, and information sharing. While supporting the Whaleshares’ business community, a lack of post interaction has been noted. Oftentimes, the comments section of posts is where the true value of the post lies. A post may provide undeniable value by itself, but it only holds the perspective of one individual. The power of the collective mind is truly astonishing, and every business person needs the input and perspective of others to thrive. This is the essence of MET – to thrive and grow as a community! Therefore, the MET community has decided to take a step further in its quest to encourage business related discussions on the Whaleshares platform by kicking off this contest initiative which is directed towards rewarding users who follow up on business articles and engage the authors with value-adding comments. This comment contest will be announced on a weekly basis and close in 7 days. Participants are tasked with the job of searching through the #met tag, finding interesting business posts, and providing as many value-added comments as possible. Comments will be monitored by the MET Initiative Overseers and rewarded with the @met account based on the value of each individual comment. At the end of the contest, the Initiative Overseers will select the 3 best comments for an additional reward denominated in MET tokens. Reward and share this post. This is a community building initiative, after all! Find interesting business posts tagged with #met. Make sure they are not past payout time. 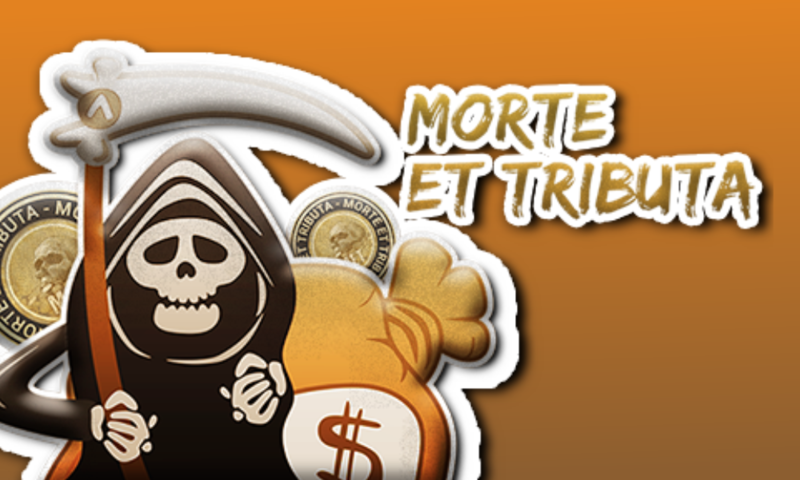 What is the Morte et Tributa (MET) Community? MET is being established to provide professionals and intellectuals with a central hub to which they can share valuable, general business-related knowledge and increase awareness of the cryptocurrency regulation that affects individuals and businesses world-wide. Furthermore, it is our hope to empower everyday people by assisting them understand the laws in their jurisdiction to better protect themselves from legal repercussions. The @met account will be used to advocate and foster a community of individualists that will analyze and critique the current state of business, crypto and non-crypto regulation and how it affects each individual state, province, country etc. In a time of regulatory uncertainty, it is of utmost importance to advocate for a regulatory framework which incentivizes innovation. If you would like your posts promoted by the @met Whaleshares/Smoke/Steemit account, make sure to tag your posts with #met. As mentioned earlier, we are looking for forward-thinking business people who will be willing to engage and help the community grow. Startup founders and enthusiasts, business professionals, crypto enthusiasts and traders, SME business owners, and everyone that hopes simply learn about business. The @MET community is a hub where knowledge is freely shared for all by all, so we encourage members to create valuable business content that pertains to businesses or cryptocurrency. Conversations can ensue from these posts that may lead to regulations and policies. So, MET is for everyone with a business mind, that hopes to either impart knowledge or wants to learn about the business landscape of different societies from members who reside in different parts of the world. We recognize that community building can be a daunting task and, for that reason, we have put in place the right incentives as a way of rewarding individuals who create quality business content across MAS-chain platforms, using the MET tag accounts. Also, we reward individuals who make efforts to grow our Discord community by providing MET tokens to those who invite friends to join in! Also, by engaging in tasks created/sponsored by @MET, individuals will earn more MET tokens these include: winning competitions, participating in initiatives, and by simply being being a valuable member to the MET community. MET are cross-chain tokens backed by the MET account's whalestake/steempower/smoke power. These tokens provide holders the ability to reward their posts with the MET account, as well as share the post to the MET Whaleshares account feed for all the community to see. MET tokens are only given to people who: Participate in Challenges, Win Contests, and do other things of value for the community! MET tokens are on BitShares! So, please make sure you have a BitShares/OpenLedger account to receive and send them for rewards/shares on your Whaleshares/Steemit/Smoke posts! Please join in the discussions with us by becoming a member in ANY or ALL of the BeyondBitcoin and EOSTalk communities. We have a wealth of knowledge and information waiting for you. MET related community and topic discussions. EOS.IO related community and topic discussions. Steemit community discussions, contests and events. Project Milkbox community and topic discussions. Bitshares development community and discussions. The information provided in the @met posts, shares, and accompanying material is for informational purposes only and, as such, should not be considered legal or financial advice. You should consult with an attorney or other professional to determine what may be best for your individual needs. @met and its information providers do not make any guarantee or other promises as to any results that may be obtained from using our content. No one should make any investment decision without first consulting his or her own financial advisor and conducting his or her own research and due diligence. To the maximum extent permitted by law, @met and all affiliates disclaim any and all liability in the event any information, commentary, analysis, opinions, advice and/or recommendations prove to be inaccurate, incomplete or unreliable, or result in any investment or other losses. MET Thanks All of You for Your Support - GOOD LUCK and HAVE FUN WITH IT!